Nikki Skuce is senior energy campaigner for ForestEthics. She joined ForestEthics in 2009. Her current focus is in stopping the Enbridge Tar Sands pipelines, creating permanent solutions to Shell’s drilling of coal-bed methane in the Sacred Headwaters, and promoting green energy solutions provincially. 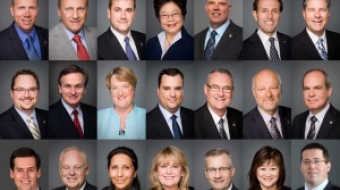 If you’re one of the 21 Conservative Members of Parliament in BC, what are you thinking right now as the decision on Enbridge draws near?